For Millennials, banking is a necessary chore. Banks are considered to be mundane; they are used for depositing paychecks and withdrawing cash, but for not much else. These aren’t exciting activities and most banks don’t try to pretend they are. Millennials choose a bank based on its fees, its features and its proximity to their homes, but this recent Warc article reports that 99% of Millennials are willing to switch banks. Why aren’t Millennials loyal to their banks? According to the Millennial Disruption Index, banking is the industry most disrupted by Millennial influence. Most Millennials do not see a difference between the services their bank offers as opposed to other banks. Therefore they would have no problem switching to a different bank if it asked for lower fees. 68% believe that the way we access money will have changed completely in 5 years’ time. Furthermore, they expect this change to originate in start-up companies, not in the banks themselves. This belief that banks are going out of style is the root of the Millennials’ lack of bank loyalty. The Millennials’ perception of the future of banking is based on the rise of mobile payment platforms, such as Venmo and Square. These services allow consumers to transfer money to their friends without physically exchanging cash or checks. As these services continue to gain in popularity, the demand for general banking services will keep on decreasing. Apple has taken mobile payments to a new level with Apple Pay. 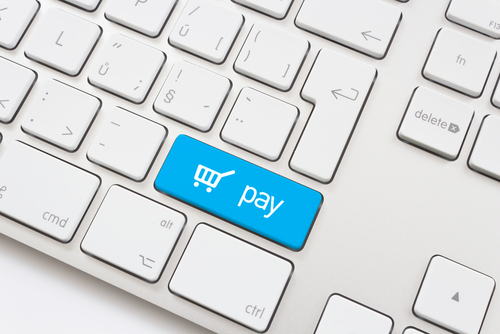 This new system completely automates the process of paying. Users only need to touch the finger sensor on their phone while in range of an Apple Pay vendor to send a payment. Once users connect their debit or credit card information to Apple Pay, they no longer need to bother with the hassle of removing credit cards from wallets. Paying becomes an easy, seamless experience. While this changing market may intimidate many of the older companies in the payment industry, MasterCard grabbed the opportunity by both hands to appeal to the younger generation. They teamed up with SFX and are seeking to provide a streamlined entertainment experience for all attendants of SFX events. The MasterCard technology is incorporated in all aspects of the SFX event, from ticket purchase to souvenir selection; it even includes Priceless Surprises, which provide users with unique experiences, for example a dinner at an exclusive on-site restaurant. MasterCard is also working on creating wearable devices for digital shopping, so as to offer a streamlined payment experience. The time has come to accept that Millennials are having a huge impact on the banking and payment industries. 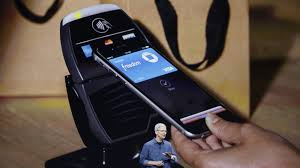 MasterCard and Apple Pay have both jumped on the bandwagon with their new campaigns and products. They both provide a digital platform and MasterCard also incorporates the Millennial trend of Serendipity with its Priceless Experiences options. I expect other companies in the industry to follow suit in order to gain valuable loyalty from their Millennial customers.